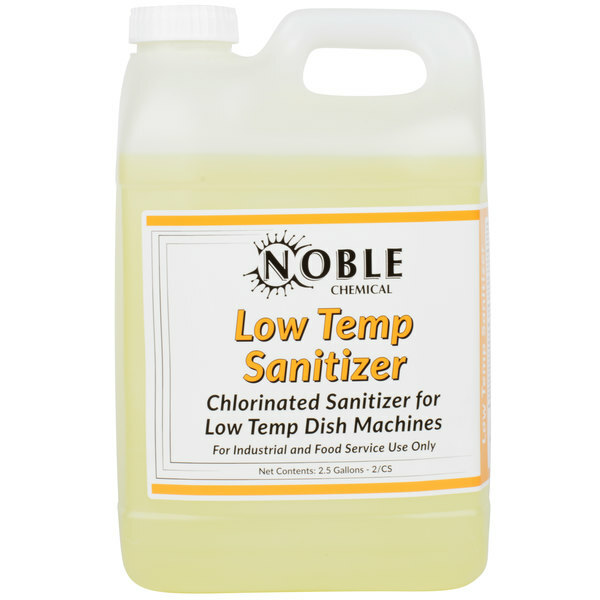 Sanitize your dishes with this Noble Chemical Low Temp San dish washing machine sanitizer. This sanitizer finishes your washing cycle by rinsing your dishes to make them clean and safe to use. Strong enough to meet any health regulations, this sanitizer is an effective way to go for sanitizing your dishes. It is an excellent choice for low temperature dish washing machines with a minimum final rinse temperature of at least 120 degrees Fahrenheit and should only be mixed with water.